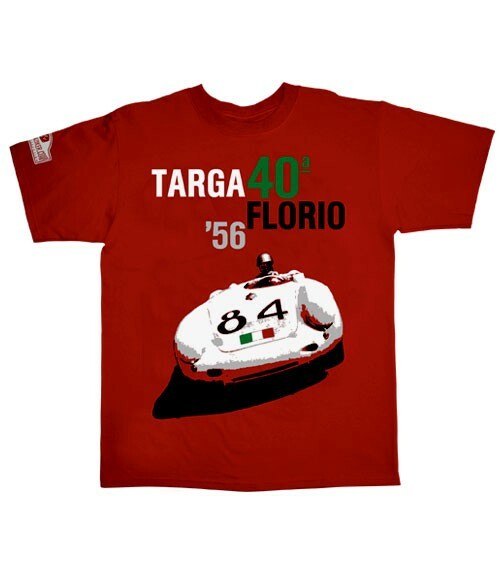 This T-shirt depicts one of the most beautiful cars in the world, the Porsche 550A Spyder, overall winner of the Targa Florio road race in 1956. The car was driven by Umberto Maglioli, who took the racing world by surprise with the result as he beat far larger and more powerful cars. With its then still small capacity vehicles, Porsche had been seen as having no more than an outside chance. This was therefore a very important victory for the brand from Stuttgart’s Zuffenhausen district. As a result, the term ‘Targa’ became synonymous with Porsche convertibles. Weiterführende Links zu "Porsche 550 Spyder T-Shirt/Rot"